Is a Mortal Kombat Animated Movie on the way from Warner Bros. Animation? That’s the new rumor floating around. Many fans of one of the gaming world’s most enduring franchises have been waiting a very long time for Scorpion, Raiden, Sub-Zero and the gang to make their way back to the big screen, or small screen, in some official capacity. Some admirable fan attempts aside, it’s yet to happen. But that could be changing relatively soon, assuming this new report turns out to be true. Before digging in, as per usual with this sort of thing, we must caution that this isn’t coming directly from the studio or anyone related to the alleged project. As such, we need to clarify that this should only be regarded as a rumor for the time being. That said, according to a new report, Warner Bros. is indeed already working on a Mortal Kombat animated movie, which would be coming from the same studio behind the often well-regarded DC animated adaptations. That’s not a bad place to start. And since those movies are R-rated when need be, they wouldn’t have to hold back on the violence. The report also comes with some cast members, starting with former Community star Joel McHale. While his role wasn’t specifically identified, it’s speculated he could be playing Johnny Cage. The other name specifically mentioned is Jennifer Carpenter, who formerly starred on Dexter. Again, there is no confirmation on who she would be playing, but there is speculation that she may be voicing Sonya Blade. Other cast members listed include Darin DePaul (Justice League Action), Fred Tatasciore (Voltron), Grey Griffin (Young Justice), Ike Amadi (Trollhunters), Kevin Michael Richardson (Justice League vs The Fatal Five), Patrick Seitz (Mortal Kombat games as Scorpion), Robin Atkin Downes (Disenchantment), Steve Blum (Mortal Kombat games as Sub-Zero) and Jordan Rodrigues (Lady Bird). 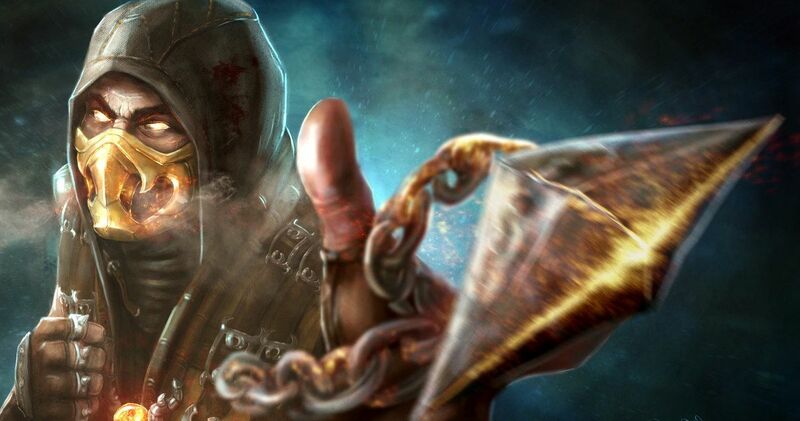 There have been plans for a live-action Mortal Kombat reboot brewing for some time. James Wan, director of Aquaman and The Conjuring, has been tapped to produce, with Simon McQuoid lined up to direct. Unfortunately, development has been slow going and there doesn’t seem to be any real hope that the project will get moving in the right direction any time soon. So, for now at least, this animated movie will have to do. Assuming it is actually happening. There were two previous live-action Mortal Kombat movies, the first of which was released in 1995 followed by a sequel, Annihilation, in 1997. But this could wind up working out rather well. Live-action video game movies have been a tricky prospect in Hollywood. On the flipside, the Castlevania animated series has done very well for Netflix. Maybe Mortal Kombat would benefit similarly from an animated adaptation? And who knows? If that goes well, it could help push the live-action movie forward. We’ll be sure to keep you posted as any further details on the project are made available. This news was first reported by Revenge of the Fans.